Greetings, friends! 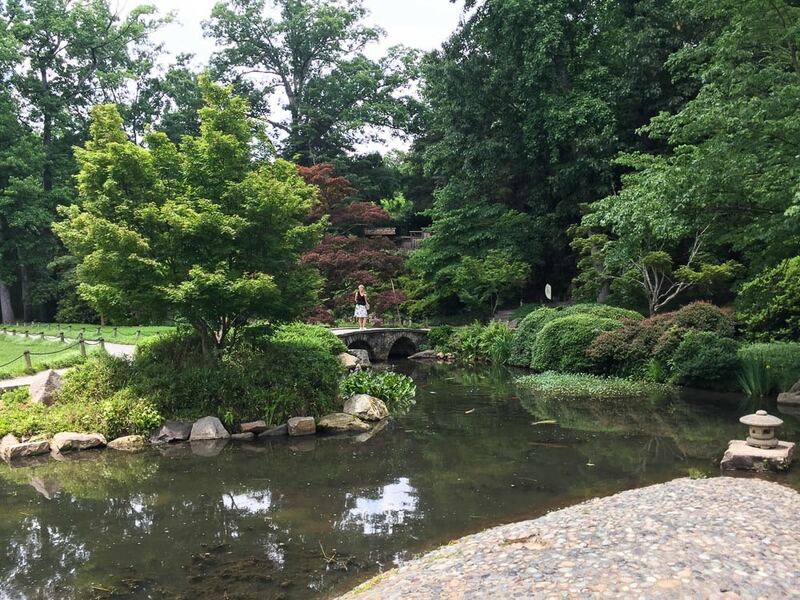 Before I share my recent visit to Maymont in Richmond, Virginia, I want to share a bit of good news. Last Wednesday I had my second set of scans since my January cancer diagnosis and I am happy to report that my tumors are much smaller than they were in January. My doctor is very pleased with how I am responding for my treatment. You can only imagine how relieved I was to get a positive report. Maymont is a 1893 Romanesque Revival combined with Queen Anne style mansion built on 100 acres overlooking the James River in Richmond, Virginia, by Major James Dooley and wife, Sallie May Dooley. 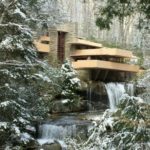 The home is 12,000 square-feet with 33 rooms and was designed by Edgerton Stewart Rogers born and educated in Rome. 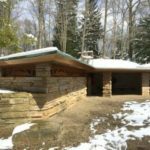 The Dooleys not only lavishly furnished their home with treasures found around the world, they also transformed the landscape into a park setting. 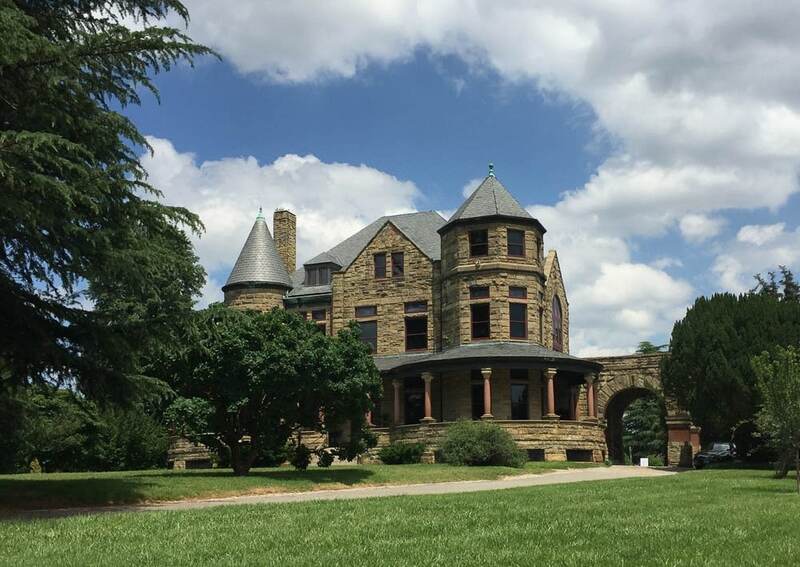 The estate was bequeathed to the City of Richmond after Mrs. Dooley’s death in 1925. 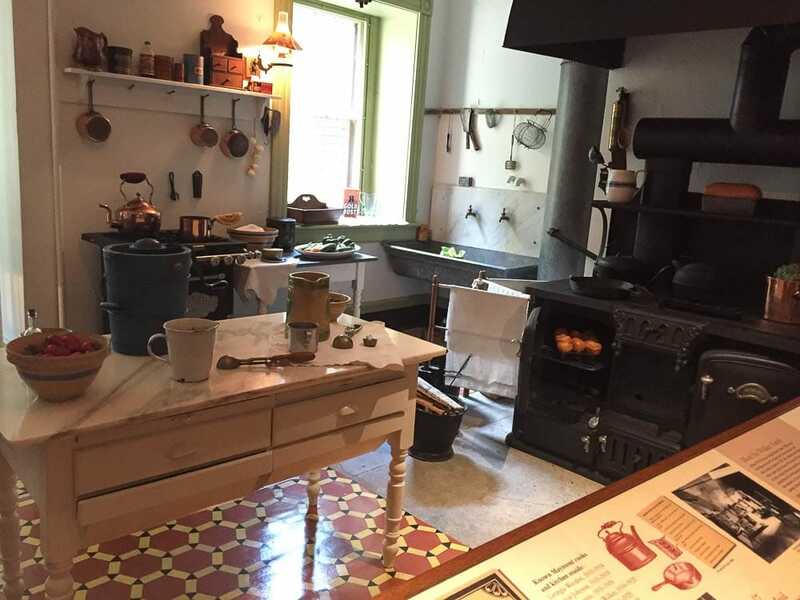 There were no heirs, so the home today is very much like it was during the Dooley’s time. 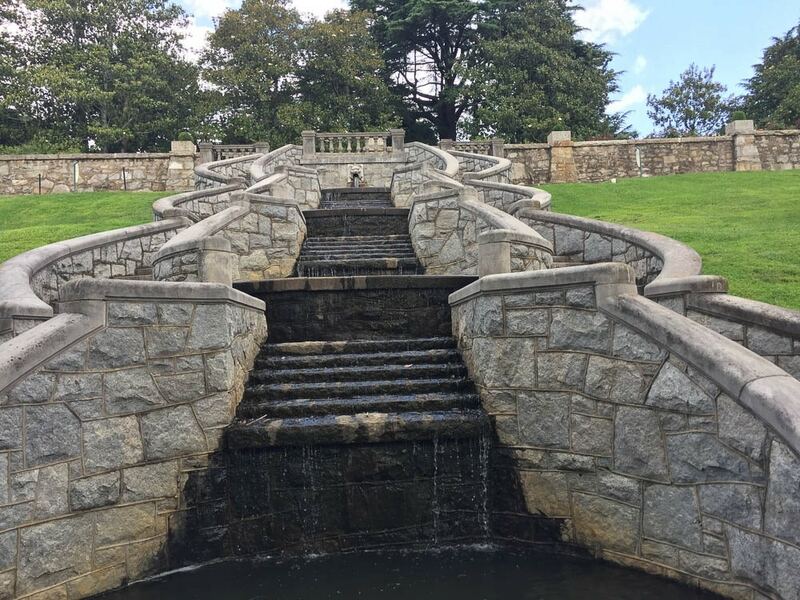 If you like touring old homes, you will definitely enjoy a visit to Maymont. 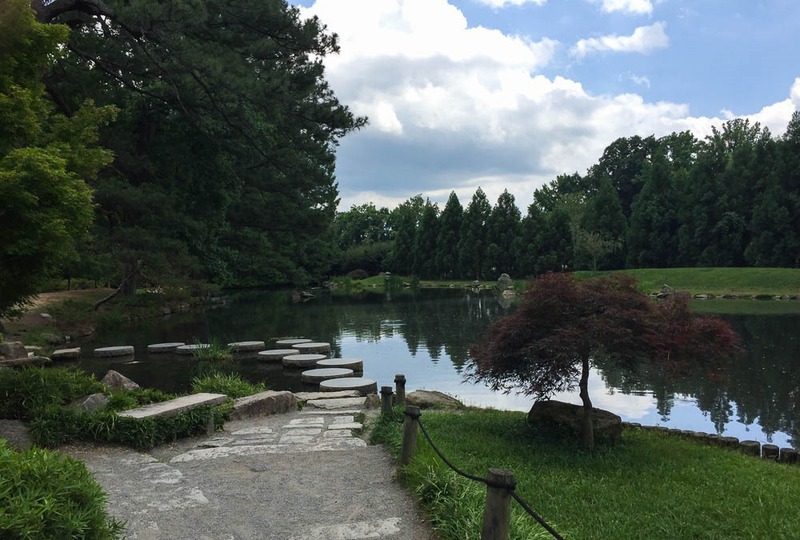 My mom and I traveled to Richmond a few weeks ago to visit Maymont. 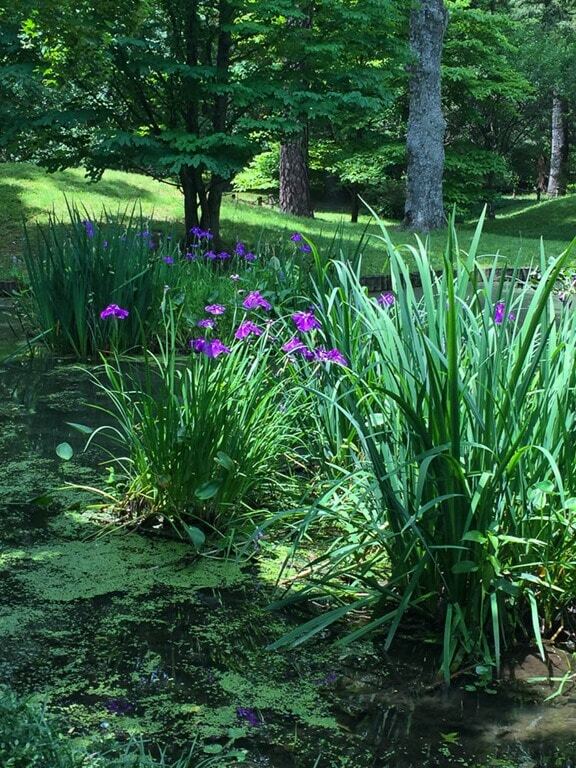 The grounds are lovely and free to visit. We saw many locals pushing babies and walking. 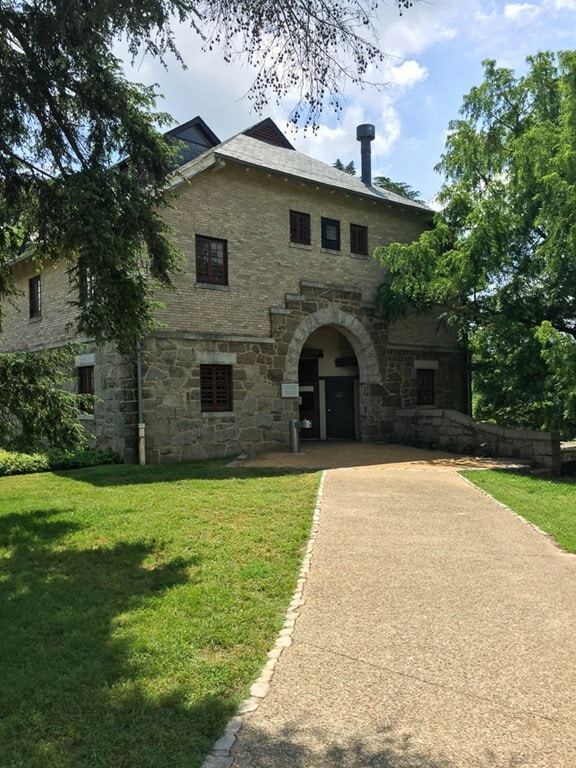 If I lived near Maymont, I would make a point to run on the trails there. Mama and I really enjoyed touring Maymont. 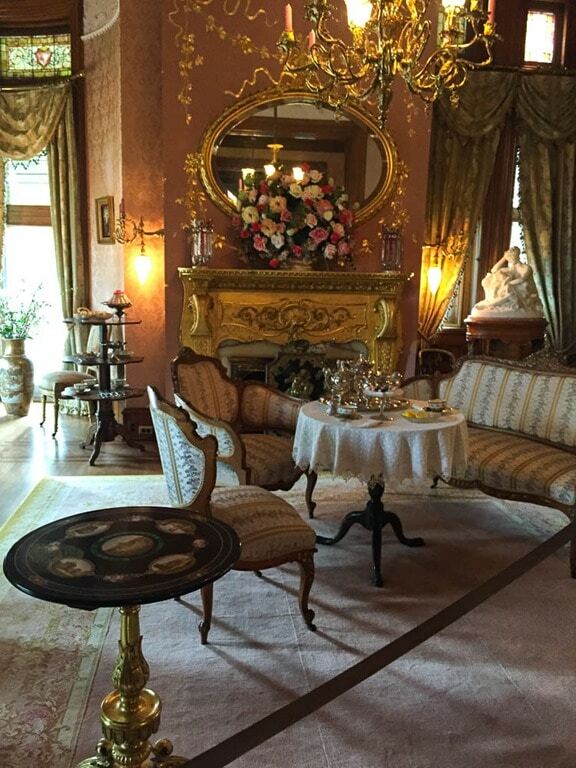 The home contains all of the original furnishings and is quite lavish. A tour is only $4 and photographs were allowed. 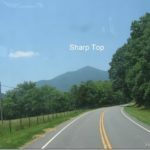 Even though photographs were allowed, they were not easy to take since we toured with a group. Major Dooley’s office is on the right as you enter through the front door of the mansion. 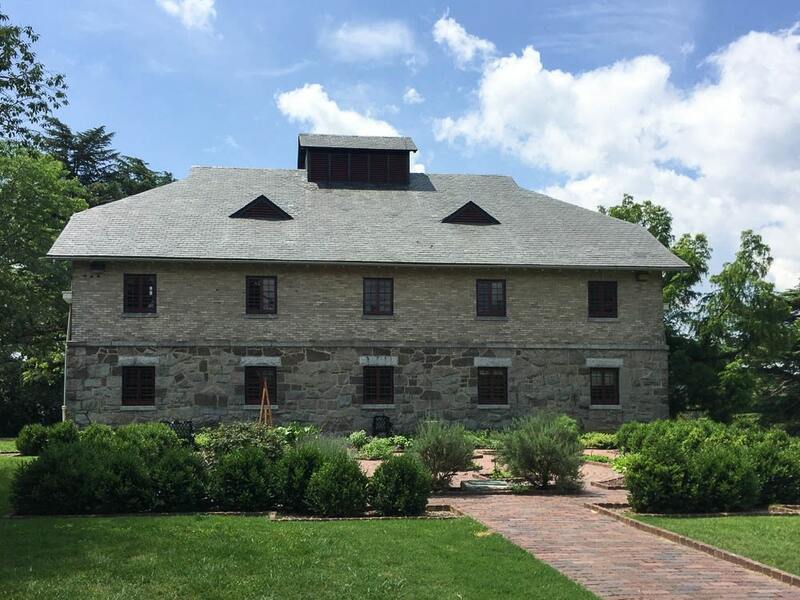 World War I memorabilia was on display around the estate. Note that the light is electric but also has candles. The home was wired for electricity but since it was a new thing, they had candles for back up. The room to the left of the front door is where Mrs. Dooley received visitors. The walls of this room and many others are covered in silk damask. This room leads into another room for entertaining guests. 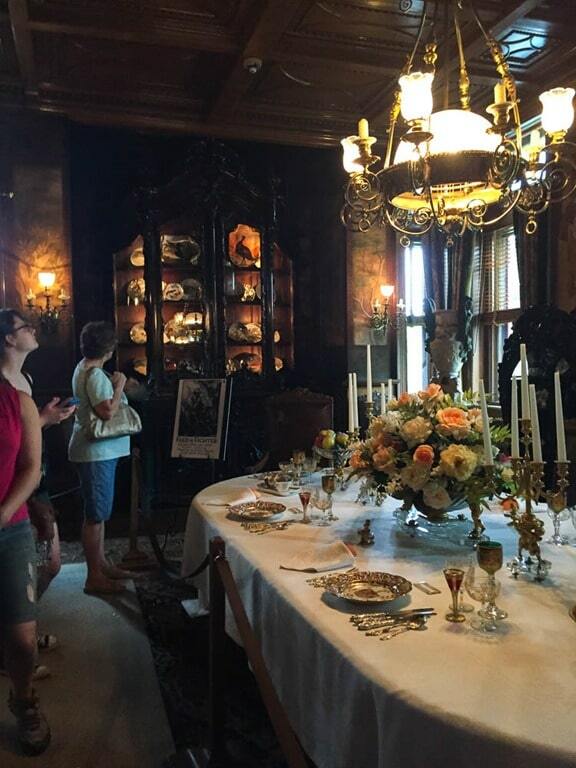 There was so much to look at in this room including beautiful furniture, dishes, and sculpture. My iphone picture does not do this room justice! 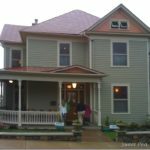 A room in the center of the home offered a cozy place to sit with a fireplace and led to the second floor. 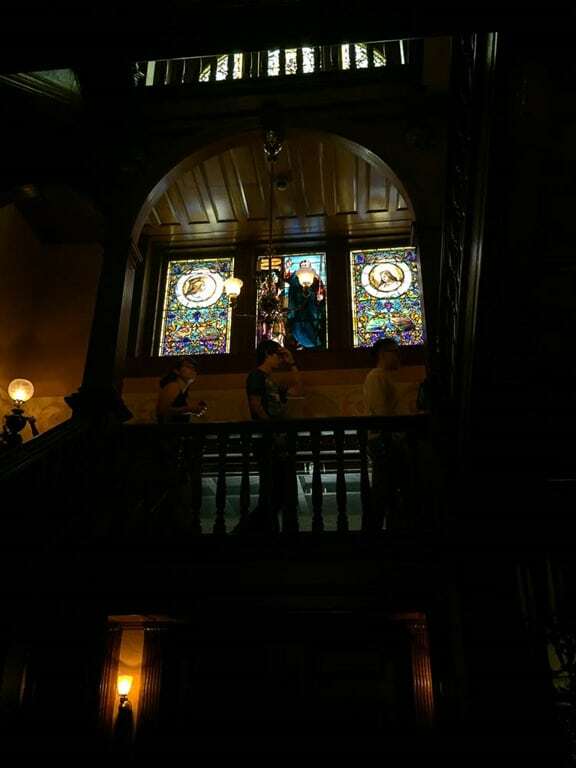 The stained glass window is Tiffany. 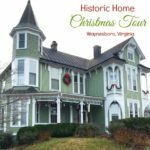 The Dooleys had a summer mansion in Afton, Virginia, called Swannanoa. 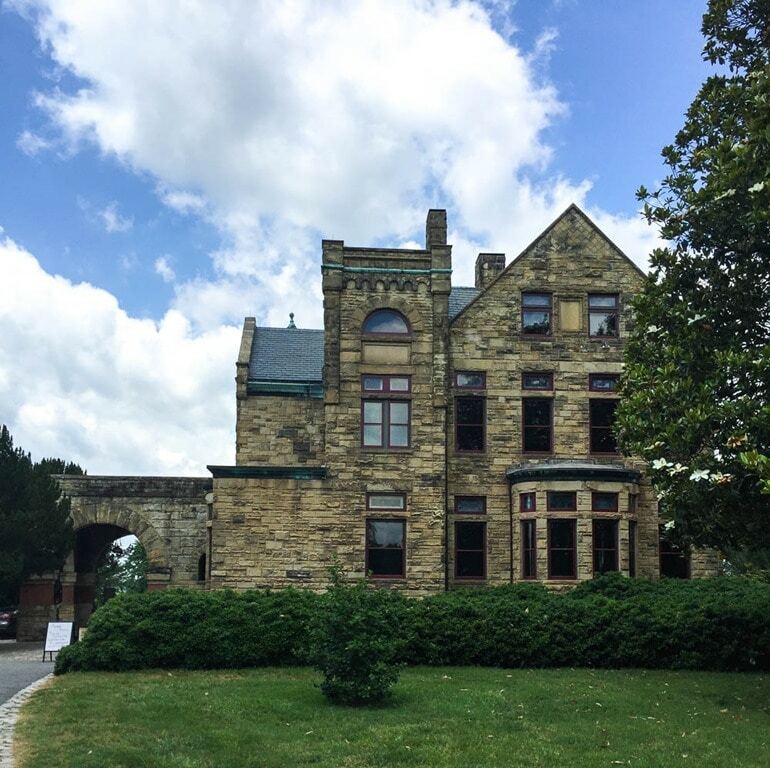 I have heard about this mansion all of my life and even though I grew up in the area, I’ve never seen it. My mother tells me that my grandfather called it “Dooley’s Mansion”. It is in disrepair these days but is still open for tours on occasion. I intend to tour it now that I’ve seen Maymont! 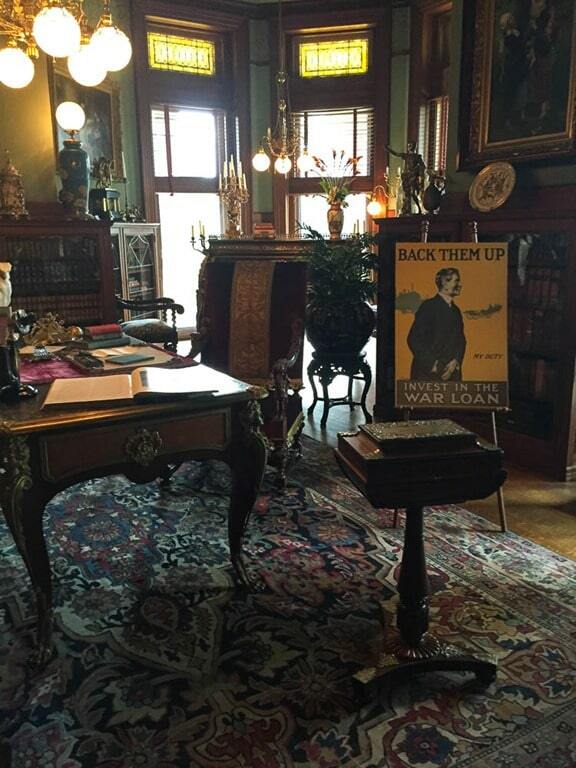 The furnishings in Mrs. Dooley’s bedroom at Maymont are from Swannanoa. 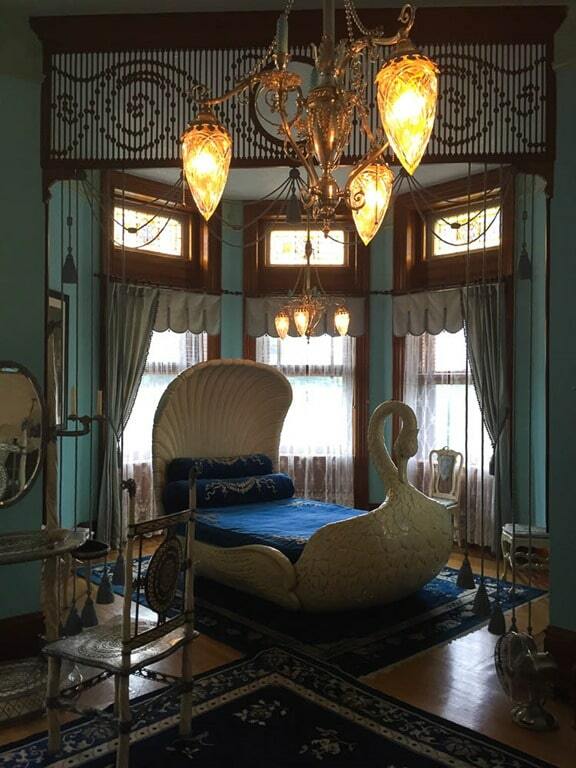 Who wouldn’t want to sleep in a swan bed? 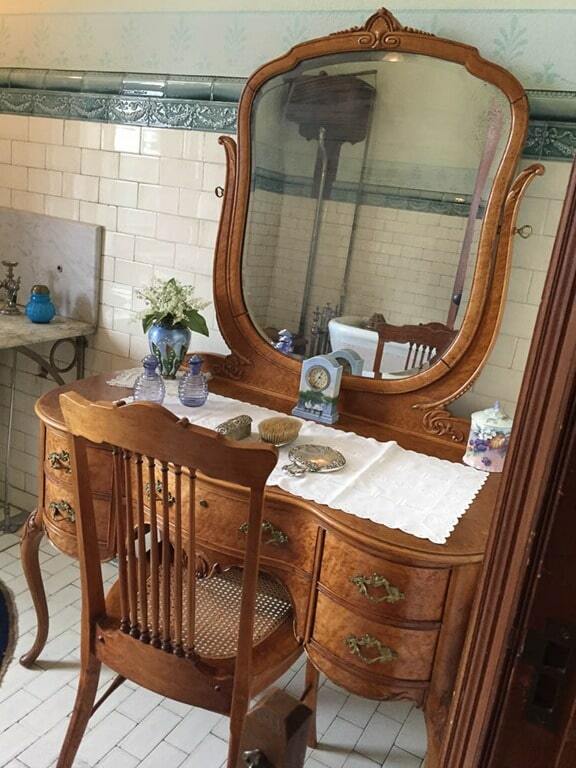 This dressing table is in Mrs. Dooley’s bathroom. The mansion had three bathrooms, a luxury at the time! 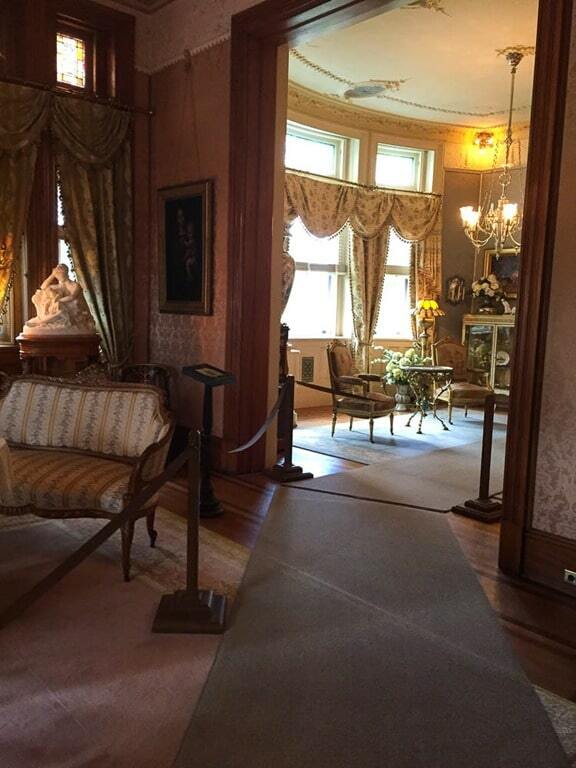 We saw more rooms upstairs, I just was not able to photograph them. 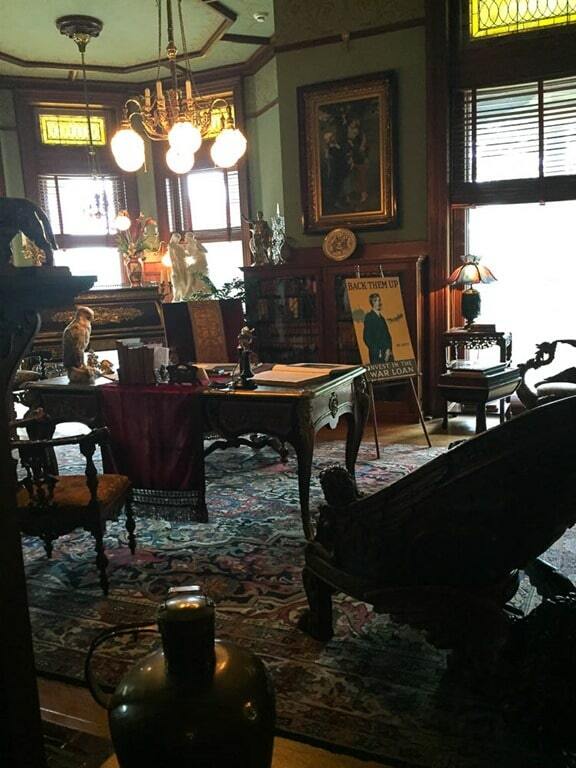 The basement of the mansion was the servant’s area and houses many exhibits. I only photographed the kitchen but if you visit, don’t miss the other rooms. Touring the mansion was enjoyable but touring the grounds was even more so! The stone barn has an herb garden in front of it established by the Virginia Council of Garden Clubs in 1957. 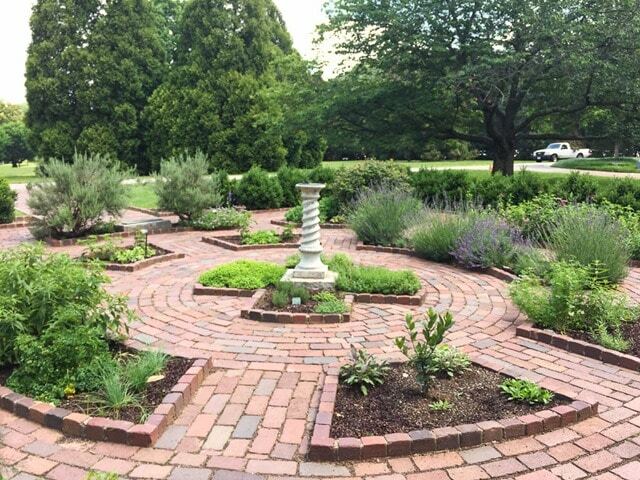 The herb garden is maintained by the Old Dominion Herb Society. The barn housed Maymont’s nature center from 1952 until the Robin’s Nature Center opened in 1999. I hoped to see the interior of the bar but it was not open to the public. 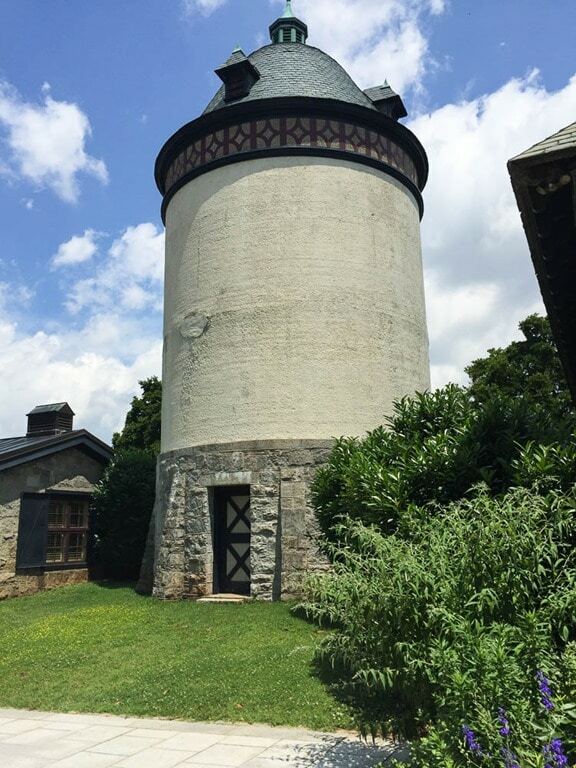 Next to the barn, is the 1904 carriage house and water tower constructed from granite quarried at Maymont. The building houses a collection of carriages that are fun to look at. The Water Tower stored water for Maymont’s fountains. During Dooley’s time it was pumped from the Kanawha Canal. 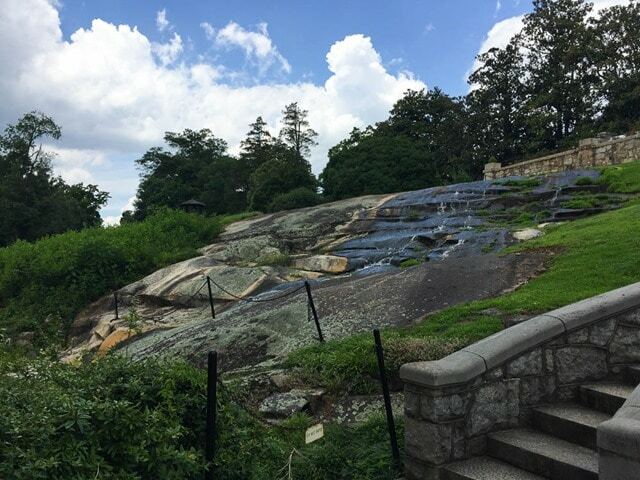 This area was constructed in 1910 using granite from Petersburg, Virginia. 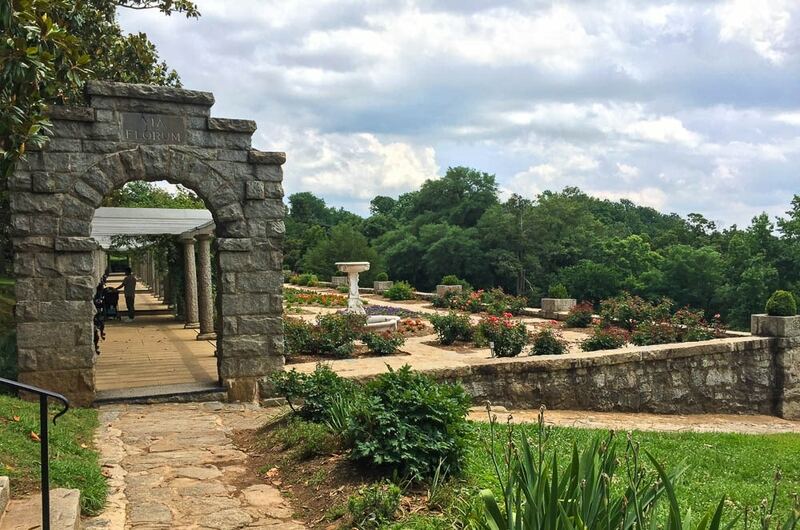 When constructed in 1910, the area had a clear view of the James River. The center area of the garden features a fountain the cascades down the hillside toward the James River. 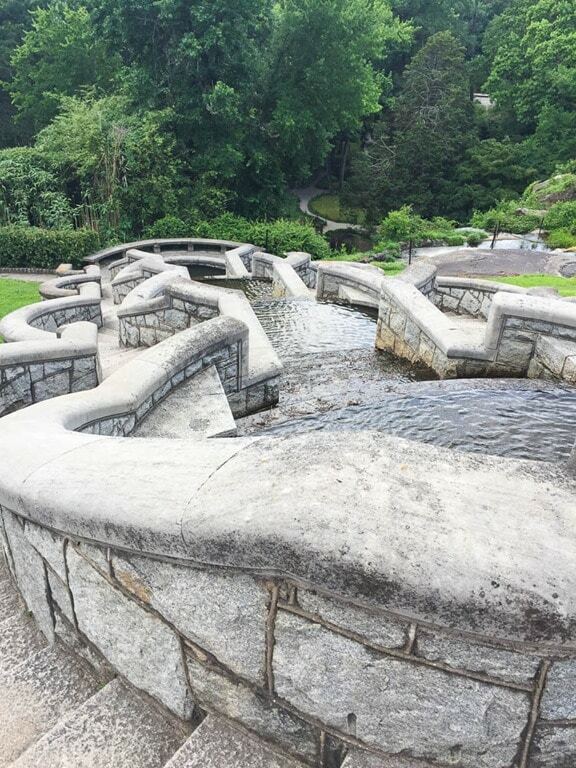 Water flows over stone in the hillside on one side of the fountain. This garden is huge and is very near the James River. 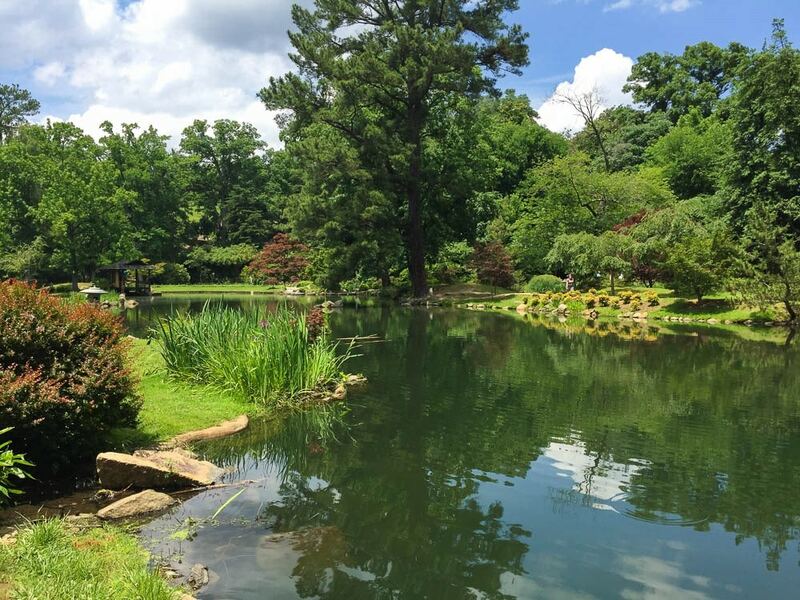 The Dooleys purchased a section of the Kanawha Canal that bordered Maymont in order to have it built. Mama is standing on the bridge! 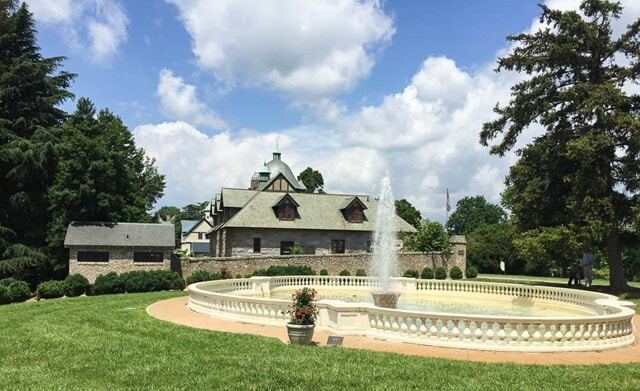 If your summer travels take you to Richmond, Virginia, consider touring Maymont. My mom and I really enjoyed our time there! What a gorgeous estate! 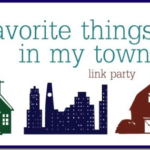 Since I love visiting old homes and learning the history, I’ll have to put it on my list. But, more importantly, that’s wonderful news about your health! I think of you often and wonder how you’re doing. Stay positive, Paula – it’s working!! That swan bed! Oh my Oh my!!! Absolutely exquisite. Thanks for the lovely tour. Thank you, Diane! 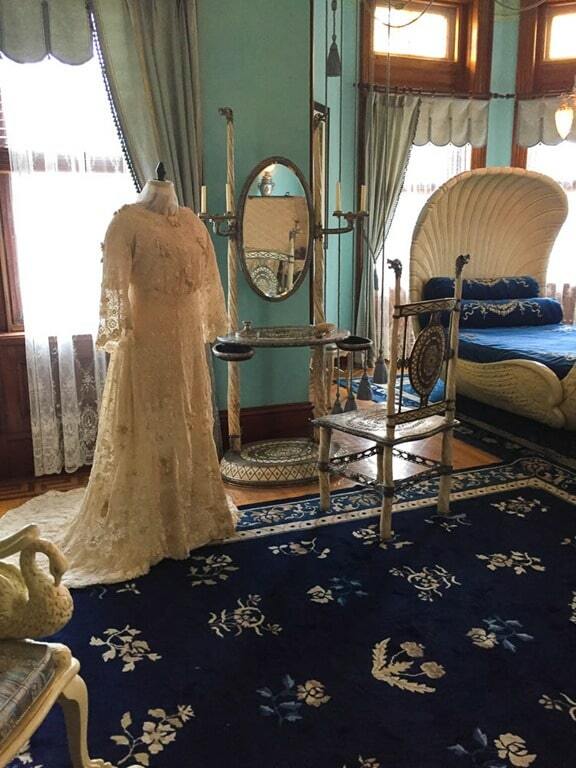 That swan bed was something else. I am so happy for the good news you received! What an encouragement! Thank you, Joyce! Good news is just what I needed. Paula, I’m thrilled neyond words aboit the latest scan results. Cant wait to give you a big hug in person! Love tje pictures of the mansion. 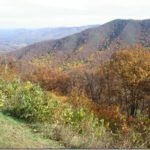 Looks loke its worth the trip! Thank you, Julie. Looking forward to seeing you soon. What wonderful news, Paula. Whatever you’re doing, keep doing it. 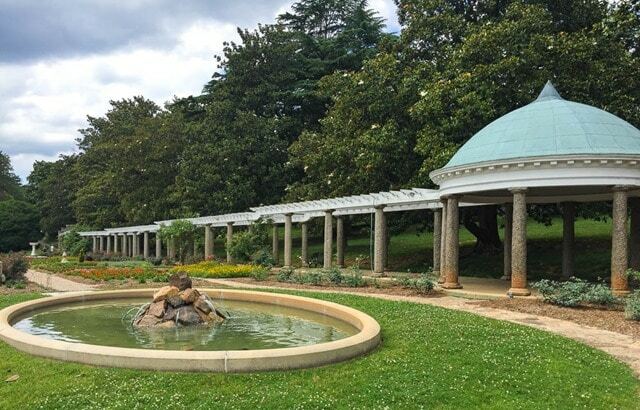 I’ve always heard of Maymont Park from family in Richmond, but no one ever mentioned the house. I’ll put that on my list of places to visit in VA. We finally made it to the DDay Memorial last week. You know we have to do our sight seeing before football season starts! I haven’t toured the D Day Memorial which is really terrible since it is so close to home. Desmond Doss’s son is speaking on July 4, I should go then to hear him and to take a tour. 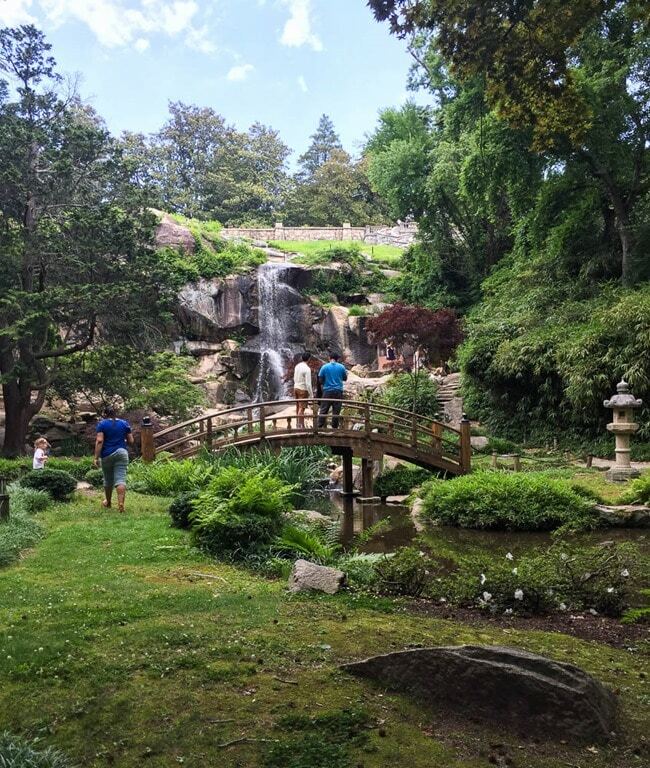 I grew up in Richmond and have visited Maymont and its grounds many times…always a pleasant way to spend an afternoon. I’ll keep you in my prayers, but am thankful for your good news. Thank you, Gail! I hope to get back to Richmond soon to see more. 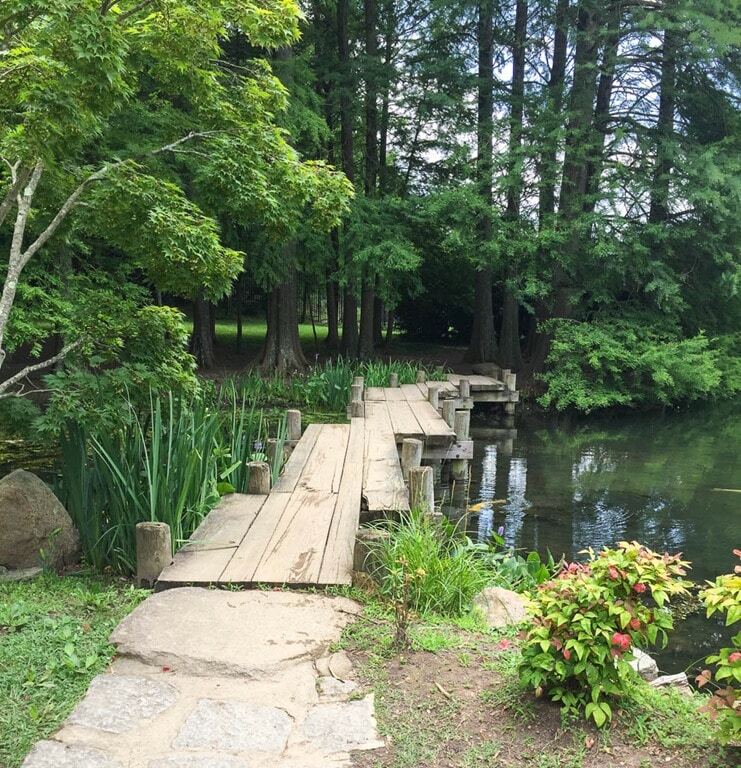 Glad your health is doing better…Stay positive….Enjoyed seeing your pics..I use to live in Richmond…. Thank you, Carol! 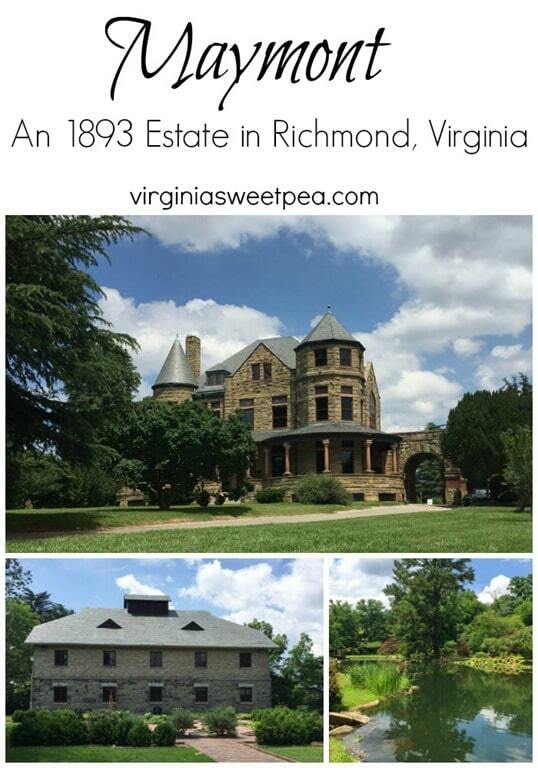 I’m hoping to get back to Richmond soon to see some more historic sites. Oh Paula, I was so happy to read about your positive update! That is wonderful news! Thank you, Jeanie. 2017 has not been what I thought it would be but I am hanging in there! I was glad to read you had a positive health report. And I really enjoyed the tour.